The heirs of Louis Renault filed a claim against the country, reported the newspaper “Guardian”. The grandsons of the founder of the auto giant said that the company was nationalized illegally on unproven allegations for collaboration. Renault founded the company together with his brothers in 1898. The entrepreneur died in prison in 1944, while expecting the process on charges for collaboration with the Nazis during the German occupation of France. 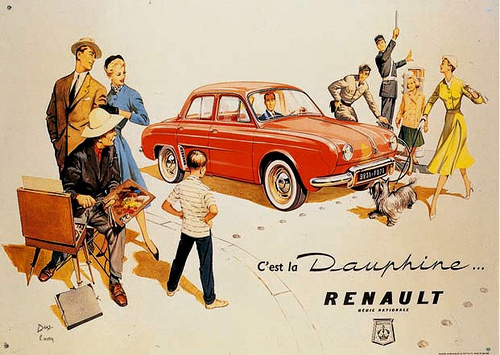 In January 1945, Charles de Gaulle and the provisional government of the country signed a decree to confiscate the company with the assertion that Renault has provided the Germans with vehicles and services during the war. The seven grandchildren of Renault benefit from a new law introduced by Nicolas Sarkozy, and are challenging the confiscation, arguing that it is in contrary with the French constitution.The lawyers of the plaintiffs argue that no other enterprise has been nationalized in this way – without the owner even get to court. Heirs fight for financial compensation from the French country. Among historians, there is no dispute that Renault has delivered engines, ready vehicles and technologies for the Nazis. The question is whether this has happened voluntarily, or – as claimed by The Renault family – the company simply had no other choice.